Diversified Restaurant Holdings, Inc. (“DRH”) is a leading restaurant operator and one of the largest franchisees for Buffalo Wild Wings® (“BWW”). DRH has 64 BWW restaurants in key urban and suburban markets in Florida, Illinois, Indiana, Michigan and Missouri. DRH’s strategy is to generate cash, reduce debt and leverage its strong franchise operating capabilities for future growth. 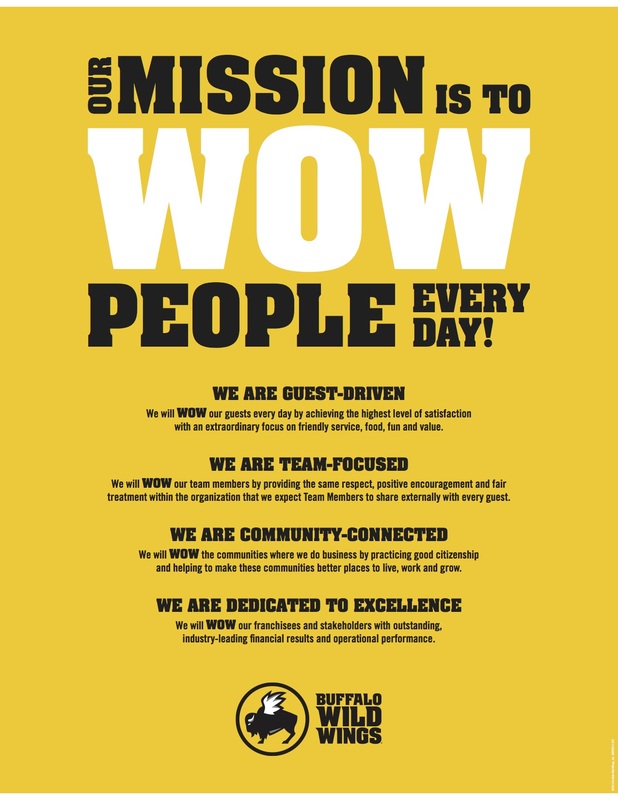 Our Mission: to WOW people every day! We will accomplish these goals through simplistic standardized processes.